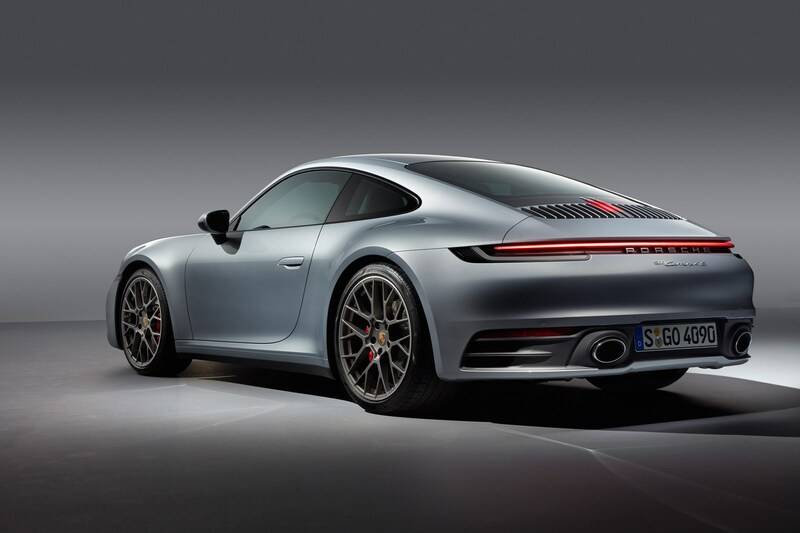 Porsche have revealed the long-awaited new 911, which is available to order now with prices starting from £93,110 for the Carrera S. The 992 series has undergone an evolutionary change, resulting in a new PDK gearbox, a longer wheelbase and an enhanced turbocharged flat-six engine. The 992 has undergone a visual makeover too, with electronic flush-fitting door handles, larger rear wheel arches and deeper side sills. A larger retractable wing and vertically-slatted engine cover all add to the refreshed design. The new 911 will only be offered with a 3.0-litre turbocharged flat six engine initially, which was previously offered in the last Carrera GTS models. Outputs will be 444bhp and 406lb ft. of torque and will accelerate quicker than its predecessor, with a 0-62mph time of 3.7 seconds for the PDK Carrera S and 3.6 seconds for the all-wheel drive 4S. Porsche have confirmed a lower-powered engine will arrive in 2019 for the Carrera and Carrera 4 variants. All this power will be channelled through a brand new PDK gearbox, with Porsche confirming an overhauled manual will be on offer in 2019 as well. Other notable developments include a new driver mode called ‘Wet. As the name suggests this mode is triggered by wet conditions detected in the wheel arches, which then asks the driver if they wish to engage the mode, which dulls the throttle response and optimises the Porsche Traction Management system for the conditions. The 992 will also be the first 911 to offer different diameter wheels front and back. Carrera models will get 19- and 20-inch wheels, with the S and 4S variants benefiting from 20 and 21-inch rims. Order books are now open for the Carrera S and Carrera 4S, with prices starting from £93,110 and £98,418 respectively.